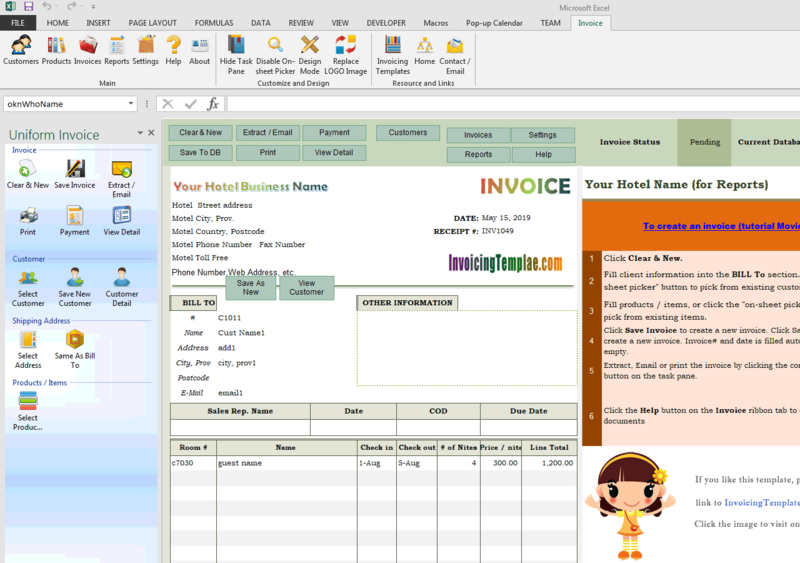 Looking for hotel billing software in Excel? This is the one you need. In the hotel / motel businesses customers usually pay at the front office. For those clients who are under long term contracts, or for the rental of meeting room etc., it is useful to add a PayPal button to invoices / receipts so that the clients are able to pay online. 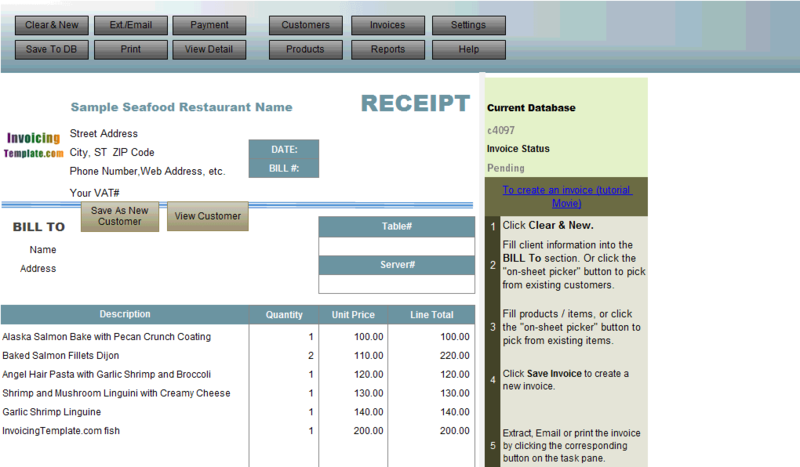 c7030 now includes the customized invoice template for the latest version of Invoice Manager for Excel. 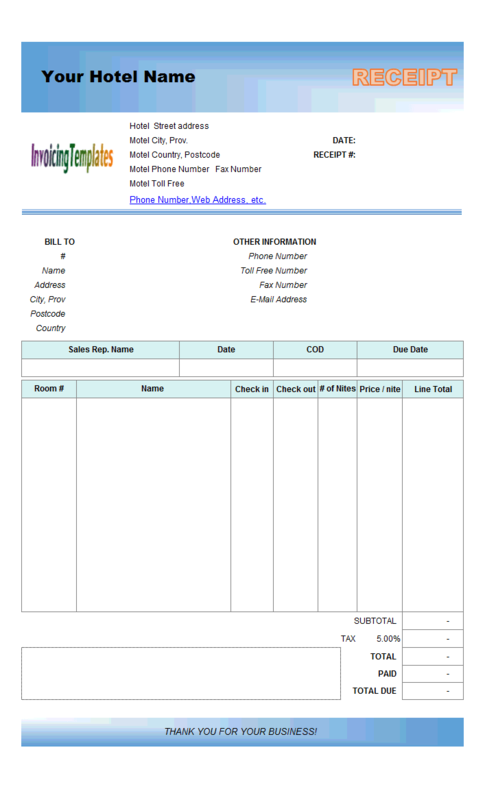 This is what you will see when you open hotel-bill-format-with-online-payment.xlsx. 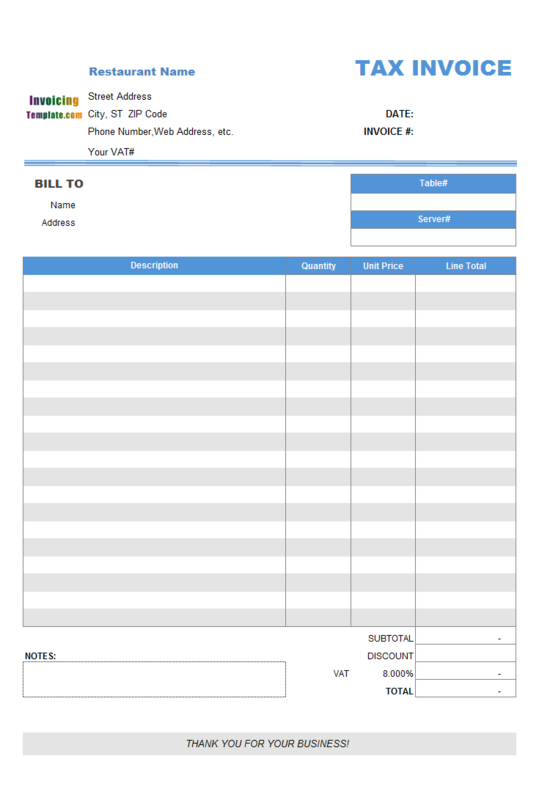 Note: Download Invoice Manager for Excel (namely Uniform Invoice Software) to make this template a fully functional hotel billing software in Excel! 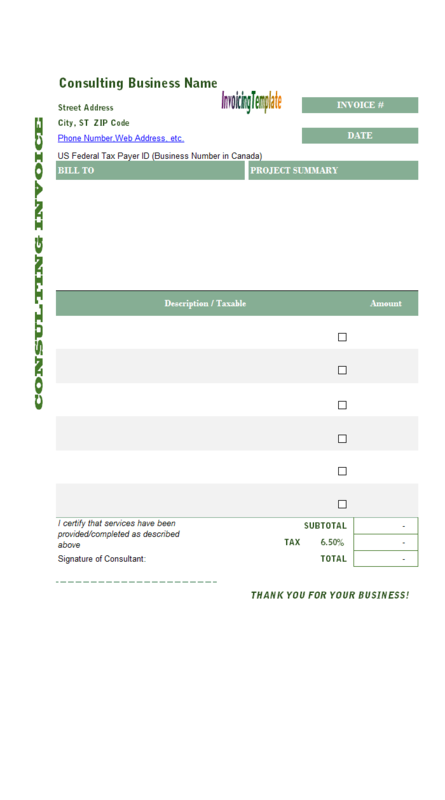 By including the PayPal payment button on the PDF invoice (test it! ), the client is able to pay you through PayPal by clicking / tapping on the PayPal button. 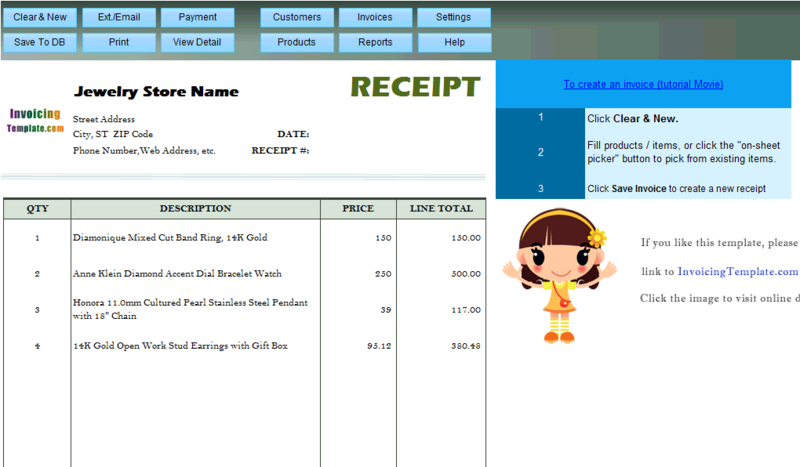 The hyperlink takes the client to PayPal web site, with the invoice# (receipt#) and amount included as the transaction detail. This reduces typo mistakes. 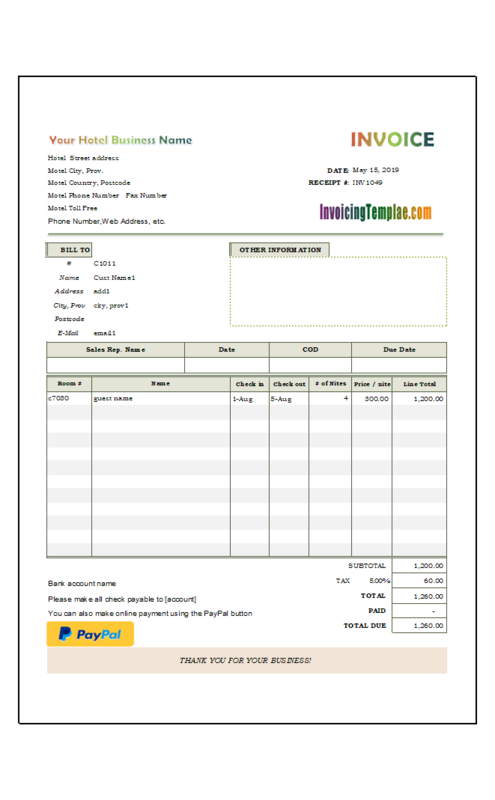 Being in the widely supported PDF format, the invoice and the PayPal payment button work on almost any devices today - not only Windows desktop computers, but also Mac, and even mobile phone devices. 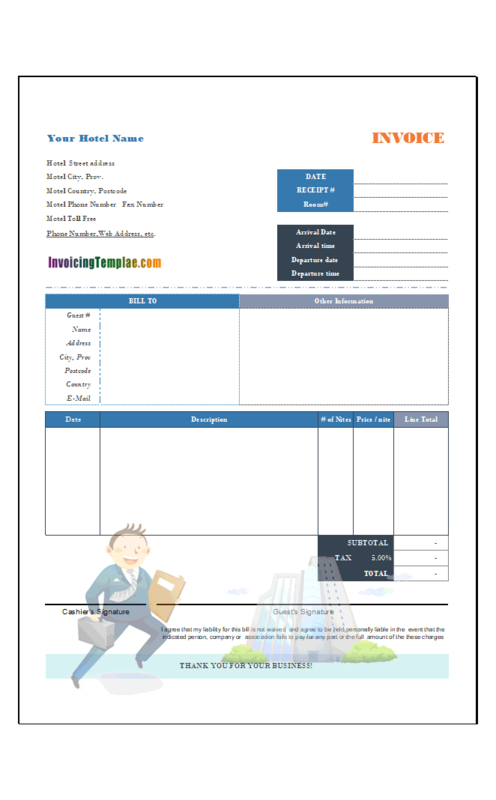 Feel free to see all our invoice templates in PDF format! 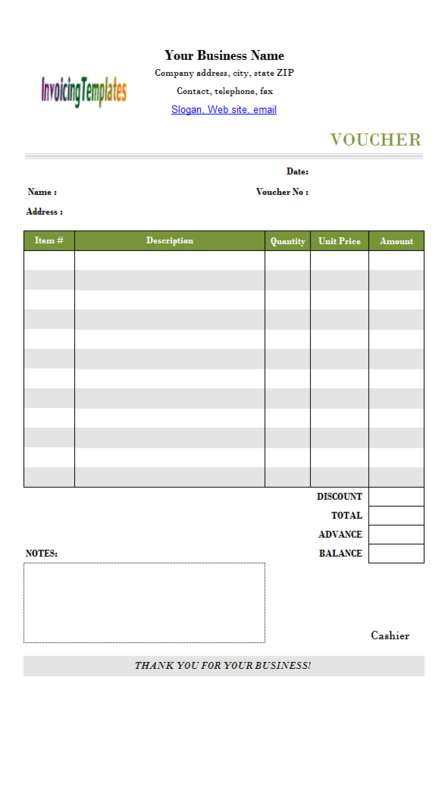 Note due to the internal hyperlink handling / caching mechanism of Microsoft Excel, the payment button does not work directly on the Excel spreadsheet template. Furthermore, the link on the Excel spreadsheet is just a template, which includes variables such as "oknBalanceDue" and "oknInvoiceID". 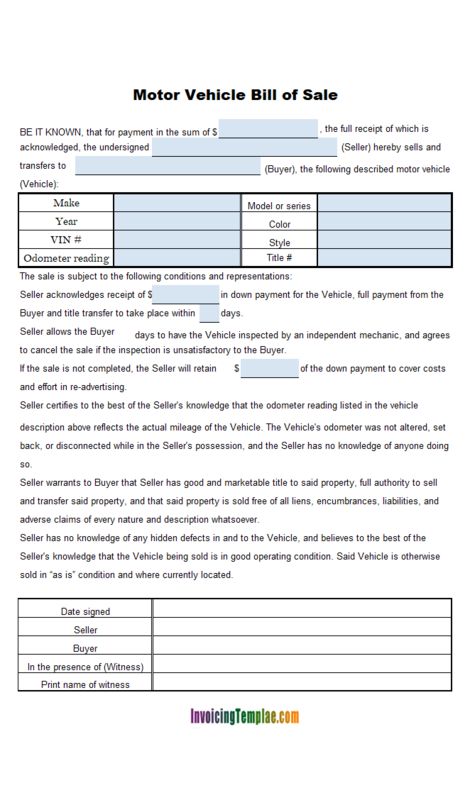 However when generating the PDF invoice, Invoice Manager for Excel (namely Uniform Invoice Software) will update the link to replace the variables with transaction details reflected on the current invoice - for example, the invoice# will be inserted to item description, the invoice balance will be the amount to pay. When you click the "Extract/Email" button to send the electronical PDF invoice to your clients, Invoice Manager for Excel (namely Uniform Invoice Software) will update databases to record whether or not the email was successfully sent out. 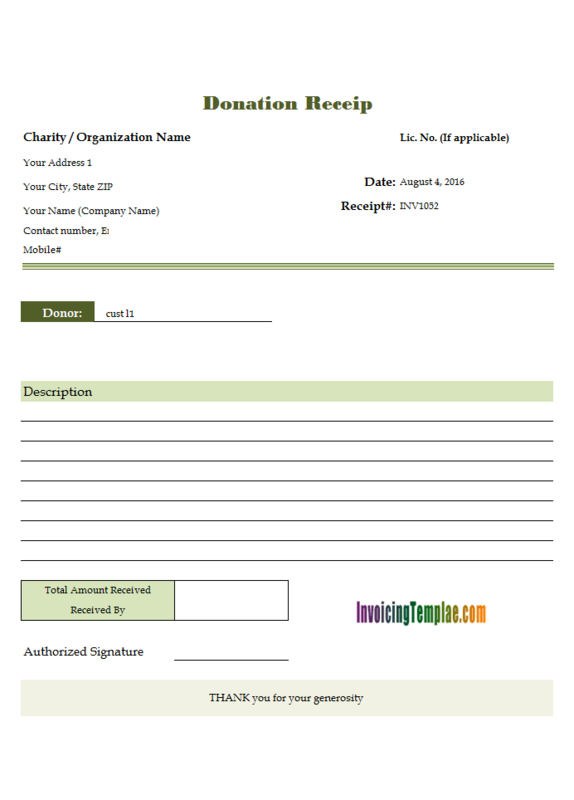 The form layout of this template is based on c7005 Hotel Receipt Template published here on InvoicingTemplate.com. 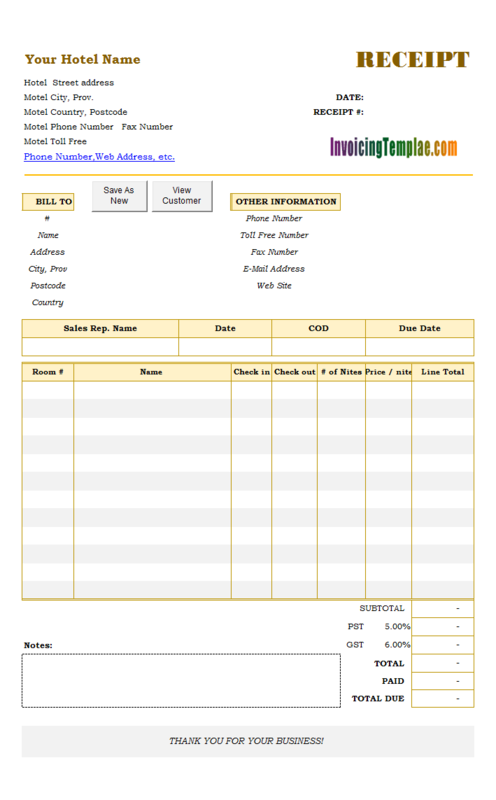 As the original design, it includes 7 columns - "Room #", "Name", "Check in", "Check out", "# of Nites". "Price / Nite", "Line Total". The automatic calculation of the subtotals, totals, taxes are done using Excel formulas. This is one of the big advantages of Excel spreadsheet templates - you can use formulas to do calculations. 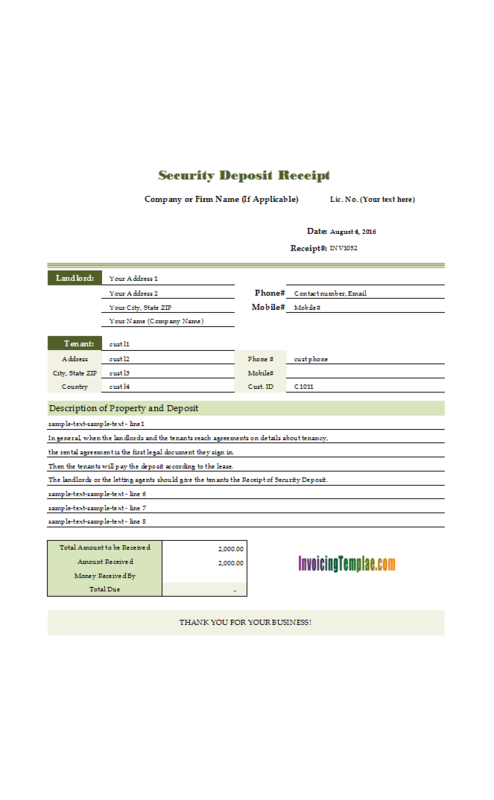 While it is easy to do document formatting in Microsoft Word too, the auto calculation of Excel spreadsheet makes it much easier to create invoices. 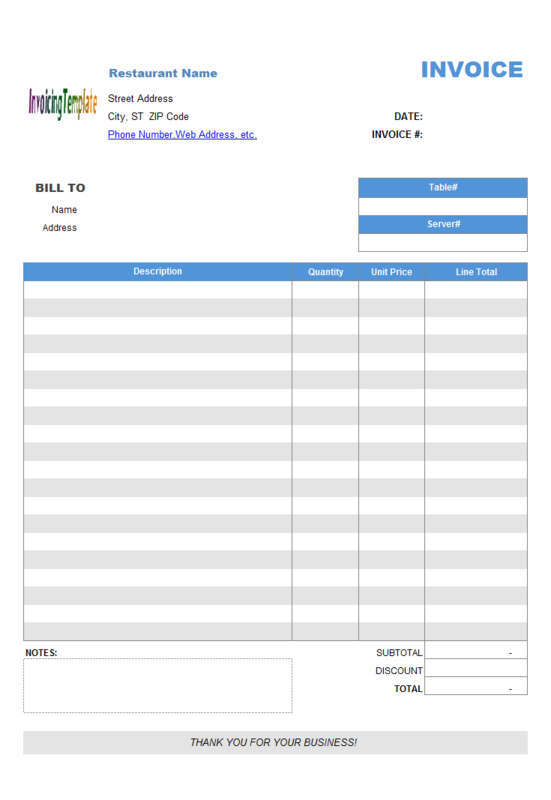 With this design, we've also removed the original "Country" field, placed the "Email Address" field in the "Bill To" section. "Other Information" is now a general purpose, multiple lined "Notes" box. With this design, we've set the number of taxes to one. 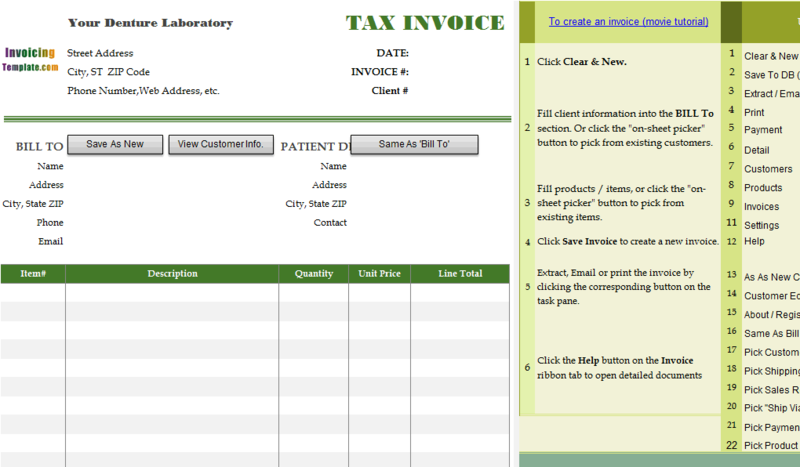 To change the taxing options, click the "Settings" button on the "Invoice" ribbon tab, and then go to the "Taxes" tab. Although we've cleared the custom fields in the "Other Information" section, they are still in the Microsoft Access database. So this template and c7005 Hotel Receipt Template could share the same database definition. If you have the Enterprise license of UIS, you can even use SQL Server database and put it online so that you are able to access it via Internet from anywhere! 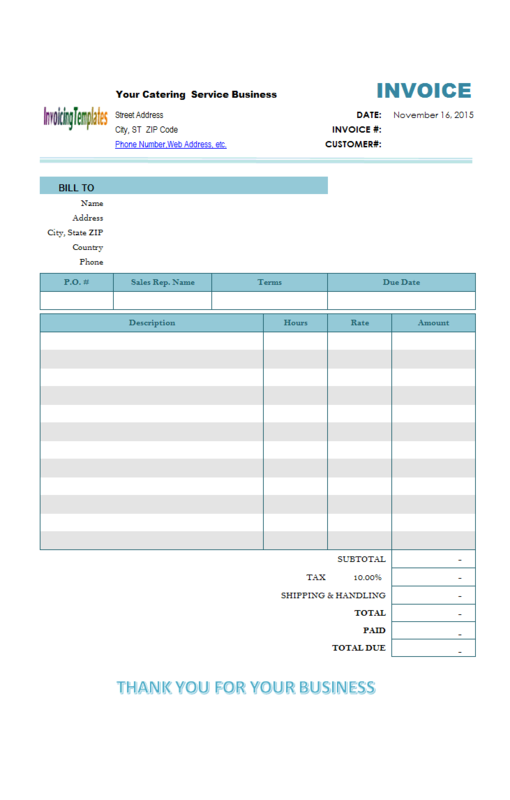 Like other form designs here on InvoicingTemplate.com, Hotel Bill Format with PayPal Payment Button is free (offered to you at a price of 0.00USD). It works on Windows XP and all newer versions of Windows, and Excel 2007, 2010, 2013, 2016 or 2019.